Can You Lift This 110-Pound Girl? Even The Strongest Men On The Street Couldn’t. But Why? 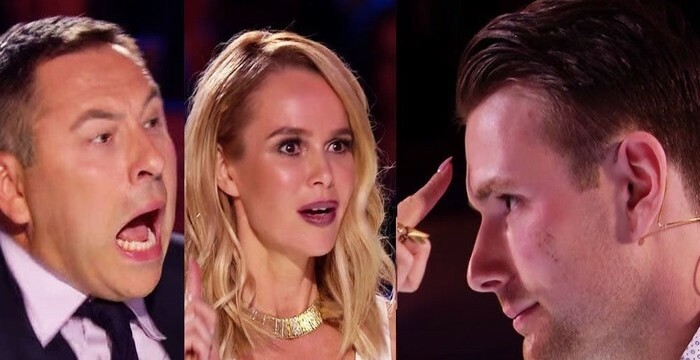 In this clip Steven Brundage leaves America’s Got Talent judge Simon Cowell stunned with his magic skills and giant Rubik’s Cube. What are your thoughts on this clip? We would love to hear from you, do write to us in the comment section below. These Three Men Come Onto The Stage With Their Mouths Taped. But When They Remove The Tape? OH MY! He Tried To Woo This Girl With A Magic Trick, But What He Does Next Gets Him A Date! We’ve seen quite a number of great magicians, including my personal favorite, Piff the Magic Dragon. As much as I love Piff, though, I’ve got to hand it to 25-year-old Richard Jones for having one of the most mind-blowing tricks I’ve seen to date!